I am lost for words. AWESOME!!! I got a copy of this about 3 years ago, blew my socks off, probably the best set i've heard recorded of them. The two Northen Exposure nights they did at the Sugar Shack in Middlesbrough in 96'+ 97' were unbelievable, especially the first. I always love what they do, but this is them at they absolute finest. An era of music for me that cannot be rivalled. True Pioneers. one of my fave mixes of all time! bought this on tape at a record shop in middlesbrough,i couldnt get it on my ipod cos i no longer av a tape deck! praise the lord 4 this upload,cheers mate.Brings back those sugar shack days at the empire! any body having trouble playing this ? the play icon disaapears when i press play. any sugestions ????? sasha and digweed dance-music for the future,mixing er up and keeping er lit hotmix.. In case some of your are music snobs like meself, and love to study track listings and crossreference artists synonyms and monikers and aka's, then you'll see a few remixes listed above by Edge Factor. For those that don't know, Edge Factor is Markus Schulz and CL McSpadden. Markus Schulz while living in Phoenix, AZ in the 90's worked for a Top 40 mix show radio network called Hot Mix where Markus met CL McSpadden. CL went on to produce many tracks for Limbo, Hook, and later Plastik Records, which was owned by Markus Schulz until it folded in early 2001. Other Markus aka's are Dakota and Himmel. 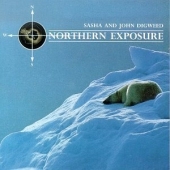 Sasha & Digweed, excellent vintage full bodied gem! !